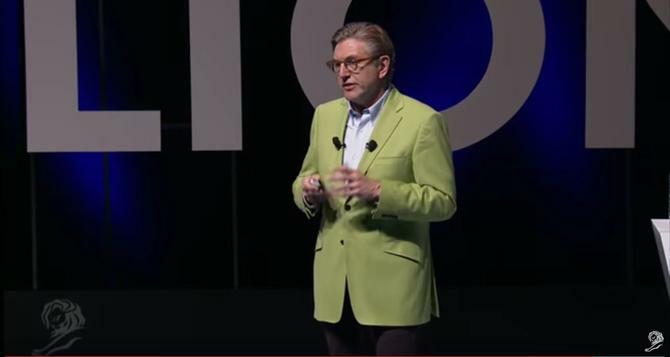 Unilever CMO, Keith Weed, has threatened to pull the FMCG giant’s digital advertising from Facebook and Google if the pair don’t remove controversial and extreme content from their online platforms. During the IAB Annual Leadership Meeting conference this week, the world’s most influential marketer criticised the lack of control across the content being delivered to consumers via the two online platforms, and threatened to boycott sites that “breed division” as a result. As a consequence, Weed said the company will prioritise investing “only in responsible platforms that are committed to creating a positive impact in society”. Unilever is one of the world’s largest marketing spenders, outlaying about US$8 billion annually to advertise its brands, a list that includes Dove, Domestos, Omo, Rexona, Lipton, Vaseline, Marmite and Jif. “The wider impact of digital on our society and the swamp that is the digital supply chain has become a consumer issue,” Weed stated. “Thus far, it has been mainly an ‘internal’ industry concern, discussed by the trade press and at industry events. But the almost daily increasingly volume of mainstream coverage shows that the jack is well and truly out of the box. Weed said fake news, racism, sexism, terrorists spreading messages of hate, toxic content directed at children are all parts of the Internet “we have ended up with that is a million miles from where we thought it would take us”. “It is in the digital media industry's interest to listen and act on this. Before viewers stop viewing, advertisers stop advertising and publishers stop publishing,” he said. For Weed, three elements must be tackled: Responsible platforms, responsible content, and responsible infrastructure. Against these, he outlined three key commitments on behalf of Unilever, the first being not to invest in platforms that do not protect children or which create division in society. Secondly, Unilever is committed to tackling gender stereotypes in advertising through #Unstereotype and championing this across the industry through #SeeHer and the #Unstereotype Alliance, he said. Thirdly, Unilever will only partner with organisations committed to creating better digital infrastructure, such as aligning around one measurement system and improving the consumer experience. Concerns over brand safety on online platforms came to a head last year, when several brands and agencies globally, such as WPP, Mars, eBay, Adidas, LÓreal and AT&T, boycotted Google’s YouTube platform first in March, and then in October and November, after finding their ads appearing on extremist video content. In response, YouTube deleted hundreds of accounts and removed more than 150,000 videos from the platform in November. Weed himself, along with his P&G rival, Marc Pritchard, have both been highly vocal about the lack of transparency in the digital media supply chain. Last January, Pritchard called on the industry to crack down on “fraudulent” and “murky” practices and said P&G was implementing a four-point plan to tackle issues within its own digital marketing strategy. These included a full review of all agency contracts for greater transparency, adopting 100 per cent viewability standard, and no longer accepting media owners who measured their own inventory.